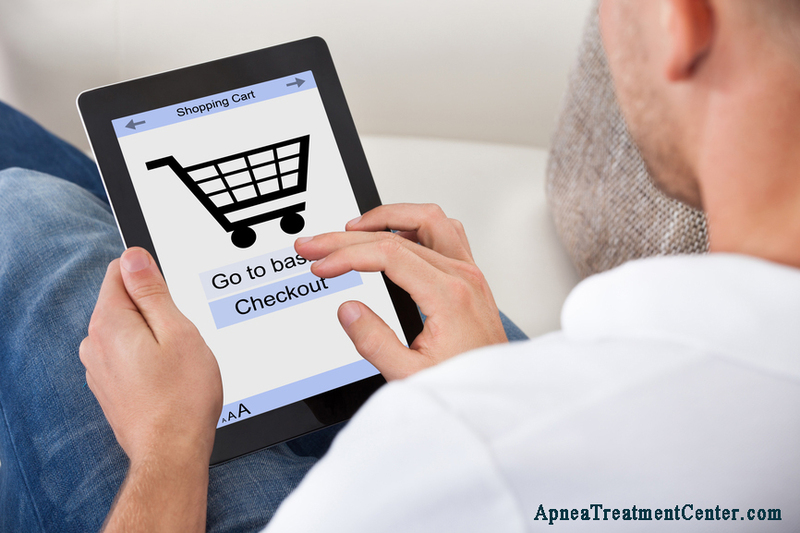 Not all devices for treating sleep apnea have to be expensive. Sometimes, solutions can find in a pocket-sized product. The Zyppah deftly handles cases of persistent and loud snoring caused by moderate sleep apnea. Albeit snoring may affect a significant amount of the American population when sleeping. Frequently snoring at levels that may disturb others is often a condition of obstructive sleep apnea. The Zyppah device may be more helpful for mild cases of sleep apnea. But, severe cases of snoring, coupled with pauses, or choking during sleep may require a CPAP machine. What Is the Zyppah and How Does It Work? The Zyppah is a device that stops snoring when sleeping. The tongue is a giant flexible muscle, capable of helping humans digest their food and speak. It’s also one reason why some sleepers snore loudly at night because it can block the airway passages. The Zyppah device’s design built-in elastic strap to restrict the tongue’s movements when sleeping. When the Zyppah is used correctly, the tongue is unable to block the airway, eliminating snoring. Additionally, when this oral appliance is inside the mouth, it helps position the jaw forward to keep the airway open. You can get a more comfortable fit for your teeth, thanks to the unique construction materials of this enhanced mouth guard. Since the Zyppah is made to withstand biting and boiling for it can be molded to custom fit your teeth’s unique structure, and keeps things hygienic. People with sleep apnea can utilize the Zyppah, but it is not a treatment for sleep apnea. The Zyppah can effectively stop snoring, which is often a symptom of sleep apnea. However, severe snoring that disturbs others may be a result of sleep apnea or another more serious health ailment. The Zyppah is not a substitute for getting a professional medical diagnosis. 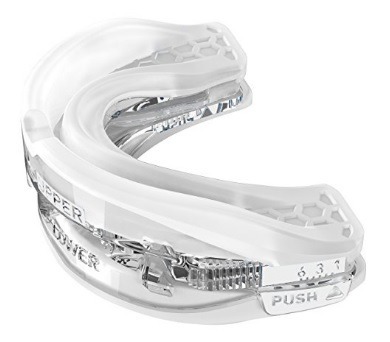 The Zyppah is unique because it is not solely a modified mouthguard which helps open up the airway for unobstructed airflow. The Zyppah is the only snoring device of its kind on the market, with an elastic made to stabilize the tongue and reposition the jaw. This oral device that eliminates snoring has clearance by the FDA and uses non-toxic materials. The Zyppah was created by dentist Dr. Jonathan Greenburg, who has over three decades of experience in the practice of dentistry. His anti-snoring device, the Zyppah, is fabricated from a moldable material. You must boil the Zyppah before it is placed into the mouth so the wearer can bite down, for a custom fit that is comfortable to wear. The Zyppah can also withstand being reheated and refitted up to three times. When it comes to the Zyppah, it wins brownie points for a few select features of a snoring mouthpiece. An experienced dentist creates it from non-toxic moldable materials. The Zyppah is capable of being reheated and refitted multiple times for a custom fit. 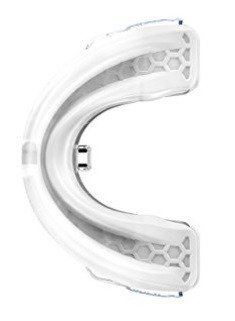 This mouthpiece has an elastic tongue strap to stabilize the tongue and restrict movement. The pricing model is flexible, allowing customers to do a test trial period. The Zyppah takes about a week to get used too and may require modifying for a more comfortable fit. Although this oral device is a boil and bite model, and its flexible material mold to your teeth, it can incite a gagging reaction when first inserted and used. One complaint that people have about the Zyppah is that although it may put a stop to snoring, it makes your tongue feel like it’s in a straitjacket. Plus, sleeping with the Zyppah makes drooling worse, because of how it positions your mouth. Unlike a CPAP machine, which uses forced pressurized air to keep your airway clear to stop snoring, the Zyppah is a hybrid. It combines a mandibular advancement device and a tongue stabilizer strap, which holds your jaw in a forward position and prevents the tongue from blocking the back of the throat. The Zyppah doesn’t require the power that a CPAP machine needs to stop snoring and not too expensive to purchase. The Zyppah doesn’t have the option of changing its size, whereas the VitalSleep lets you adjust the lower jaw. The ZQuiet is another anti-snoring mouthpiece that has a hinge at the back. It can’t customize like the Zyppah, but you can trim it if it’s too large. The ZQuiet moves with your jaws and covers the teeth, preventing grinding in the night. Although the ZQuiet restrains the jaws, it doesn’t prevent the tongue from blocking the air passages, which cause snoring. If mandibular advancement devices leave your mouth and jaw feeling achy after each use, the Good Morning Snore Solution is another anti-snore device. Instead of relying on restraining the jaw, or pushing the jaw into a more forward position, the Good Morning Snore Solution stops snoring by holding your tongue in place. 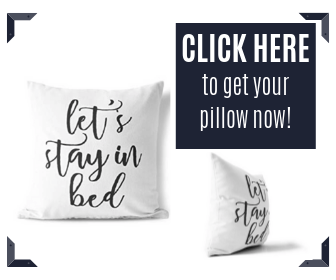 Relying on restraining the tongue using displacement reduces snoring, and doesn’t require repositioning the jaw aggressively, but still reduces the chances of the tongue blocking the airway. The GMSS doesn’t require boil-and-bite for a customized fit or cutting before use. Depending on how severe your snoring may be, you’ll want to assess what is causing your snoring at night. How badly you snore is caused by the movements of your tongue, the position of your jaw, or both. Utilizing a mandibular advancement device (MAD) requires a break-in period to get your mouth used to having the teeth and jaw restrained all night long. Some tenderness, soreness, or stiffness in the jaw, facial muscles, and mouth are common symptoms when you use a MAD. Drooling may also be a side-effect. The Zyppah is useful, but its addition of a tongue stabilizer certainly will take some getting used too. Overall, using a device like the Zyppah, or similar MADs have more pros than cons. If you’re looking for a device that is travel-friendly and doesn’t require power to operate and stops to snoring. MADs are a good anti-snoring device option. It provides a side-benefit of preventing teeth grinding because it covers the teeth as it restrains the jaws. It is helpful for mild to moderate sleep apnea cases. Customers have the option of a trial period to test out the product for themselves. MAD devices have longevity and are easy to maintain and keep clean between uses. The Zyppah Hybrid Oral Appliance retails for $125.95 on its website but has a reduced price offer of $99.95. Customers who purchase the Zyppah have 90-day purchase protection, and the assurance of customer service to address any concerns that may arise. Interested buyers of the Zyppah can also choose to make a trial purchase. You will only end up paying just for shipping and have a 30-day period to test out the Zyppah for yourself. If you are satisfied with the results, your credit card will be charged two separate installment payments to cover the cost of the device. If you’re not satisfied with the product under the 30 day trial period, the manufacturer accepts returned products with no charges. The Zyppah device is moderately priced. It’s a bonus that customers get the chance to test out the Zyppah via a trial purchase, before fully committing. Before self-diagnosing any sleep disorders and running out to get a sleeping aid or device. It is best to get a proper diagnosis from a medical professional. Untreated and undiagnosed breathing disorders experienced when sleeping can occur for multiple reasons. The Zyppah is a mandibular advancement device, which keeps a sleeper’s jaw in a more forward position to keep the flow of air clear. Unlike other competitor’s MADs, the Zyppah also includes a cleverly placed elastic band to hold the tongue in its place. Too often, snoring happens because the tongue is blocking the flow of air to the throat. Which causes the tissues surrounding the airway to vibrate. This vibration is known as snoring and can make it uncomfortable for anyone sleeping nearby to get a good night’s rest. Snoring is a phenomenon that is common, and can happen to anyone for multiple reasons beyond having a mild case of sleep apnea. Before rushing out to choose an anti-snoring device such as the Zyppah. It’s essential to assess why you are snoring, and whether it is because of a more severe health condition worth checking out. Using the Zyppah is helpful for many sleepers who do have a case of sleep apnea. But it does not provide a sleeper with pressurized air to keep their air passage clear in the night. In severe sleep apnea cases, a CPAP or BIPAP machine may be a better solution. However, the Zyppah is an affordable alternative. If you use a device like the Zyppah to combat excessive snoring, but you additionally have some of the above symptoms. You should consider getting an assessment from your doctor. Snoring is not just brought on by a case of sleep apnea. The following reasons could be the culprit behind loud, persistent snoring. Anyone who has mouth anatomy that has a low, thick palate can cause a narrowed airway. Obese people may have extra tissue in the back of the throat, which makes it harder for air to get through unobstructed. An elongated uvula causes excessive vibration and blocks the wind when sleeping. Drinking alcohol before bedtime causes snoring because it relaxes throat muscles and makes obstruction of the airway easier. Nasal congestion or a deviated septum contributes factor that causes snoring. You also consider how to position your body when sleeping, anyone who rests on their back is subject to the forces of gravity. Snoring happens frequently and at a louder level when sleeping on your back. It causes the airway of the throat to narrow. The Zyppah is an excellent anti-snoring device for people who exhibit loud snoring. It’s clear by the FDA and BBB-accredited, which is a plus. If you don’t mind the learning curve, it takes to get used to wearing the Zyppah. The only device with an elastic band to limit the tongue’s movement without blocking the air passageway. The best thing about Zyppah is it combines a tongue stabilizer and repositions the jaw to prevent snoring. It’s not for everyone and is not a substitute for severe sleep apnea. With any mandibular advancement device, it takes time to get accustomed to, and drooling may occur. Be patient if you’re willing to get the right fit, give it a week or two. This anti-snoring device might be the right choice for your needs.